Holme Low Parish is in the Borough of Allerdale and is now made up of small hamlets; Barracks Bridge, Blackdyke, Blitterlees, Calvo, Causewayhead, Green Row, Seaville and Wolsty. This area was mainly a farming community until the airfield was built in 1939. After closure of the airfield in 1960 some of the land reverted back to agriculture, the rest to industry. 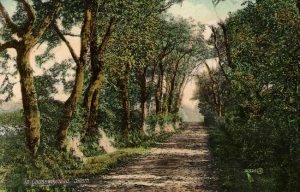 Written in the History of Cumbria it would appear that a Roman road passed through the Parish from Maryport on the way to Bowness on Solway. Very little remains of the ruins of Wolsty Castle constructed in the first half of the 14th century. 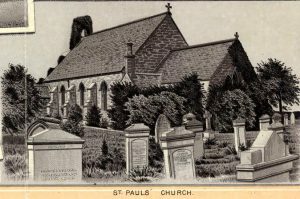 Holme Low was once part of the Parish of Holme Cultram until a Church dedicated to St Paul was built in 1845. The Sunday school, (the building known as the Mission Hall) was converted into two houses in 1980. 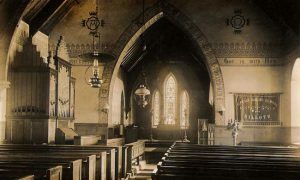 The Church is the only remaining communal building left in the Parish. 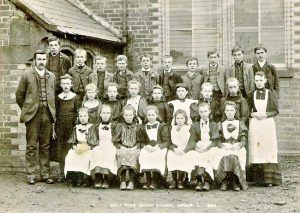 The Colt Park School was erected by the school board in 1875; it was closed in the summer of 1940. The School was later demolished leaving the house and one of the school porches. Black Dyke, Wath, Hayrigg, Calvo, and East Coate, are all small places consisting of scattered farmhouses. The soil is marshy but fertile; subsoil, white sand The chief crops are wheat, oats, barley and green crops. Captain William Pery Standish, of New Park, Brockenhurst, Hants, is lord of the manor. The chief landowners are Charles Hylton Jolliffe esq. Edwin Hodge Banks esq. of Highmoor, Wigton, and Messrs. Joseph Barnes, William Messenger, sen. John Holliday, and Robert Peate, but there are also several resident yeomen occupying good houses. The area is 6,414 acres (including Silloth) of land, 11 of water, 316 of tidal water and 3,540 of foreshore; rateable value, £15,019; the population in 1891 was 581. 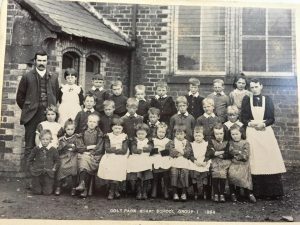 A School Board of 5 members was formed here 24 June, 1874; Richard Thomas Johnston, 11 Wampool street, Silloth, clerk to the board; Thomas Carrick, Blitter Lees, Silloth, attendance officer. 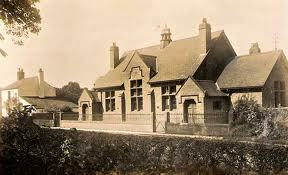 Silloth Airfield was opened in June 1939, just before the start of WW2, and closed on 31 December 1960. 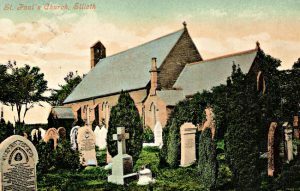 It is located 1 mile (1.6 km) north-east of the coastal town of Silloth, Cumbria, England within the Parish of Holme Low. 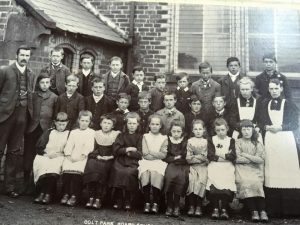 The Silloth Airfield Project is led by Silloth Tourism Action Group (STAG), who were awarded a grant by HLF of £9,600 for a project to research and preserve the history of Silloth Airfield and community memories of the town’s wartime years. 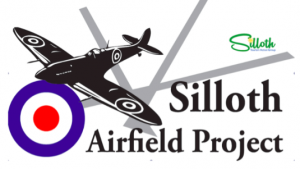 The website has been set up to tell the story of Silloth Airfield and its role during WW2; also its significance to the civilian men and women who worked there, airmen, RAF personnel and the local community of Silloth who live(d) close to it and hold it dear. 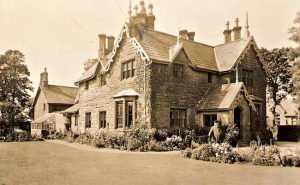 British Listed Buildings Online is an online database of buildings and structures that are listed as being of special architectural and historic interest. As well as reading the official listing data for each building, you can also view the location on a map, and, where possible, see it in Google Streetview and Bing Birds Eye View.